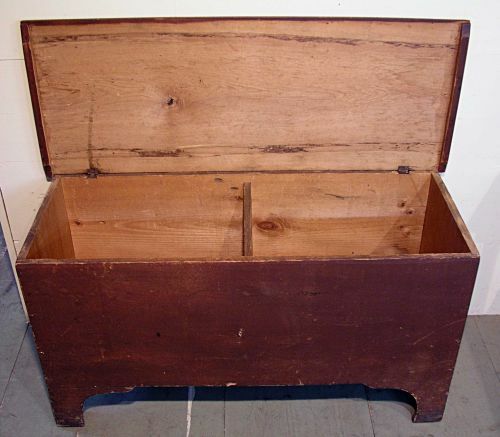 Small pine New England blanket chest or grain bin with original dry red paint. 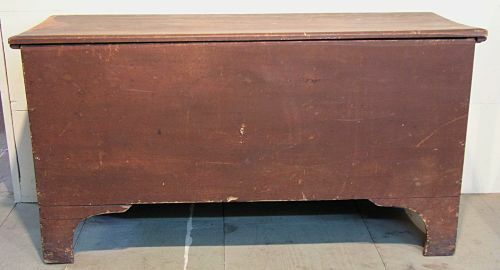 Has original hinges and interior divider mortised through center. Super clean and all original with fancy cutouts along front lower edge. Great size for kitchen or pantry. 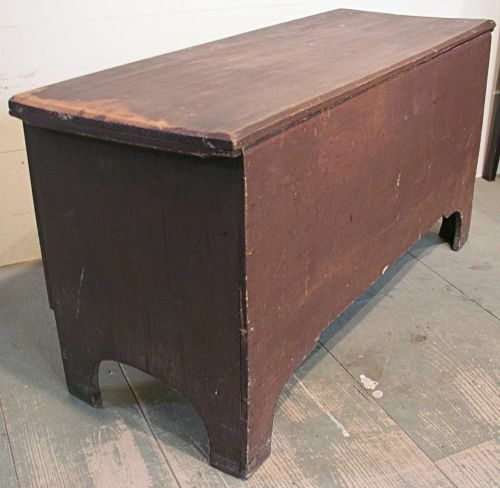 Dimensions: Measures 39" wide X 16" deep X 21 1/2" tall.